We’ve been treating for worms in peanuts now. I’m seeing some loopers mostly. 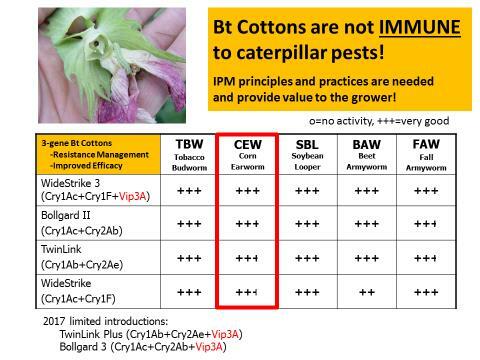 But there are reports of tobacco budworm, and I do see some TBW moths flying. We need to be scouting when we are in the field. The biggest question is our threshold. 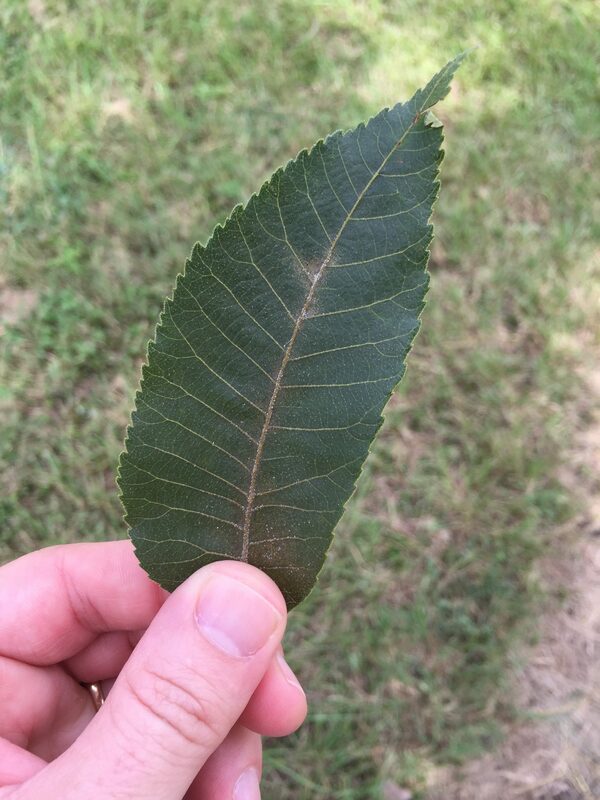 For foliage feeding caterpillars, our threshold is 4 – 8 per row foot. Remember, peanuts can tolerate a significant amount of defoliation with no impact on yield, but when we start to see ragged leaves, it becomes difficult to hold back. Our peanuts look really good thanks to timely rainfall. When peanuts are not stressed, we can go closer to 8 on the threshold. Centynal EC – This is a good product for treating empty bins and elevator boots. Note that the active ingredient in Centynal EC, Defense SC and Suspend SC are identical so these are not good rotation partners. Defense SC (labeled for empty bin use only) – This is a good product for treating empty bins and elevator boots, but is not labeled for application directly to grain. Note that the active ingredient in Centynal EC, Defense SC and Suspend SC are identical so these are not good rotation partners. Suspend SC – This is a good product for treating empty bins and elevator boots. Note that the active ingredient in Centynal EC, Defense SC and Suspend SC are identical so these are not good rotation partners. Actellic 5E (labeled for corn only) – This product has been the standard for many years, but it is expensive. A full rate will provide protection from weevils for 9-12 months. Reducing the rate will decrease the longevity of the protection. Our data suggest that Actellic is susceptible to heat degradation in the drier when grain temperatures exceed 120 F.
Centynal EC (labeled for corn and wheat) – Centynal EC is a new formulation that will provide 3 to 6 months of protection from weevils at the 0.5 ppm rate or 6 to 12 months of protection at the 1.0 ppm rate. This material is heat stable in the drier (tested up to 150 F). Diacon (labeled for corn and wheat) – Diacon is an insect growth regulator that is effective for killing nearly all immature grain moths and beetles, except weevils. The 4 oz per 1000 bu rate is sufficient for tank mixing. Diacon IGR PLUS (labeled for corn and wheat) – This product is a premix of Centynal EC and Diacon. See comments above for rates and activity. Malathion (labeled for wheat and corn) – Although widely used in the past, this product is no longer recommended due to well documented resistance in many stored grain insect populations. Sensat (labeled for corn and wheat) – This product is new to the market, but has been in our evaluation program for several years. Test results show excellent weevil control for up to 12 months. No dryer stability data at this time. Storcide II (labeled for wheat only) – Storcide II is an industry standard for stored wheat, but is not labeled for use on corn. Protection will degrade with heat and time. Suspend SC (labeled for corn and wheat) – This product is an older formulation that must be completely suspended before measuring and requires frequent agitation. It provides 3 to 6 months of protection from weevils. Three-way tankmix (only tested on corn) – UGA tests from 2014-2016 showed that a threeway tank mix of Centynal (8.5 oz) plus Diacon IGR (4 oz) plus PBO-8 Synergist (13.5 oz) will provide 6-9 months of protection from weevils. This is a moderately priced option for growers in markets where other products are unavailable or cost is a limiting factor. 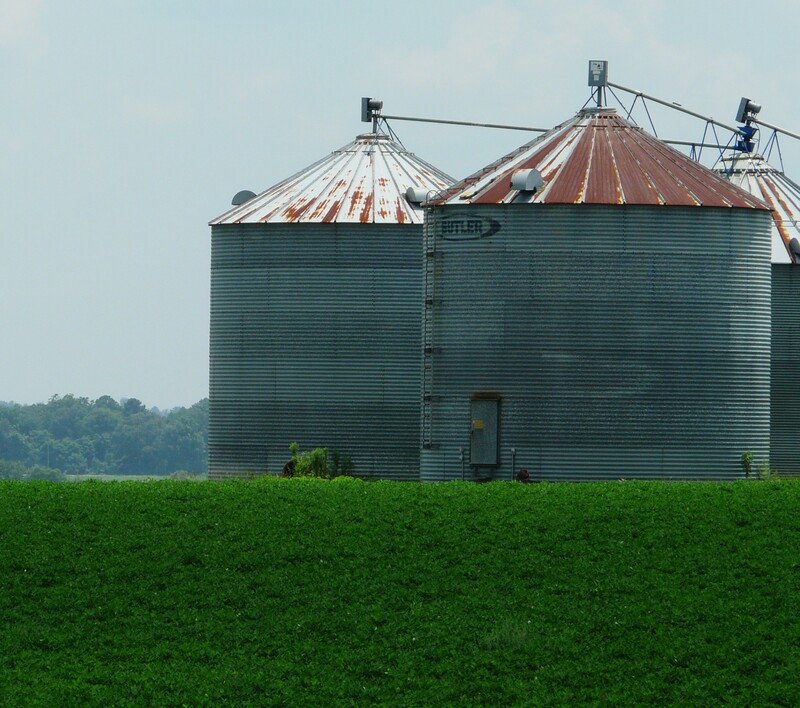 Regardless of the product used, be mindful that grain protectants are not a silver bullet. Shelled corn should be dried to a maximum of 15% moisture content before dropping it in the bin. Chemical applications should only be made to clean grain that will be stored for more than 3 months. Apply protectants at the bottom of the auger in a course spray to maximize coverage as the kernels are moving up to the top of the bin. Long-term grain storage requires appropriate moisture content, proper housekeeping, use of a spreader when filling bins, and managed aeration. We have had an interesting year so far in our hay crop. Our dry Spring kept us from truly getting started, and the current rain is keeping growers from cutting. We have hundreds of acres that hasn’t been cut yet. If it has been cut, it’s mostly been cut once. There is a very small amount of hay that has been cut twice. 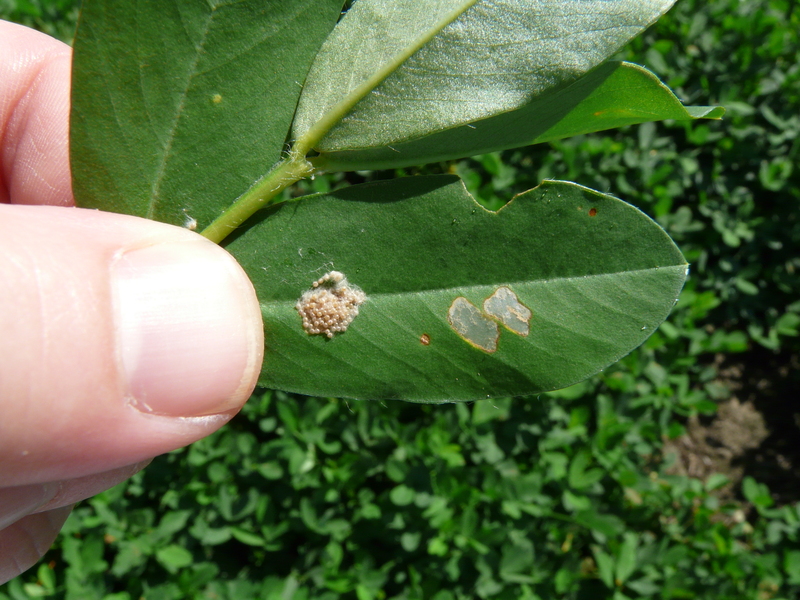 This may be one reason we are seeing stem maggot in some fields. I stopped by this field Wednesday, and a large section appeared frosted. Stem maggot has done lots of damage here. The good news is we have yet to see fall armyworms. This too may be cause the rain. Reports of the bermudagrass stem maggot have been coming in from all over the Coastal Plain and into the southern 2-3 counties in the Piedmont. I suspect with the abundant rainfall in most places, we will see BSM pressures similar to the heavy pressure we saw in 2013. Producers need to employ the standard suppression technique (labeled pyrethroid of their choice 7-10 days after cutting and again 7-10 days later, as needed). 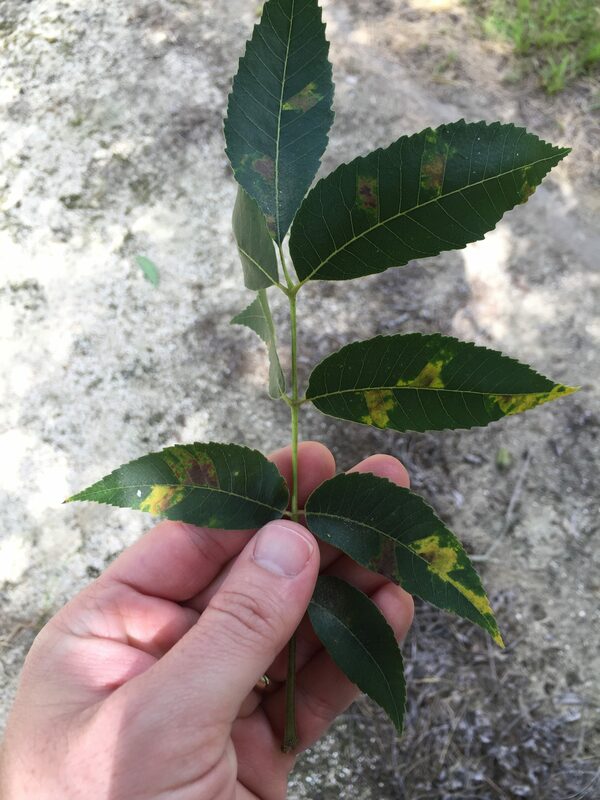 Moderate N fertilization rates, and good K fertilization minimizes disease and this seems to minimize BSM activity (but it doesn’t eliminate it). In the past, we have recommended spinosad, as well. Current research indicates this is not as effective as we believed it to be. 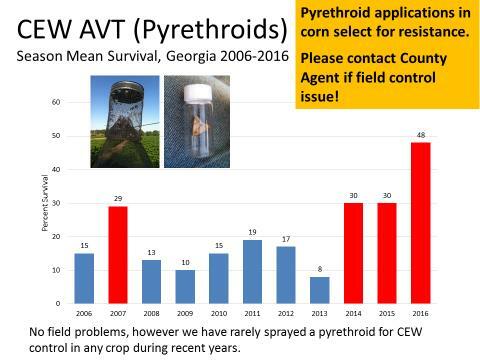 Pyrethroids are our best option currently. 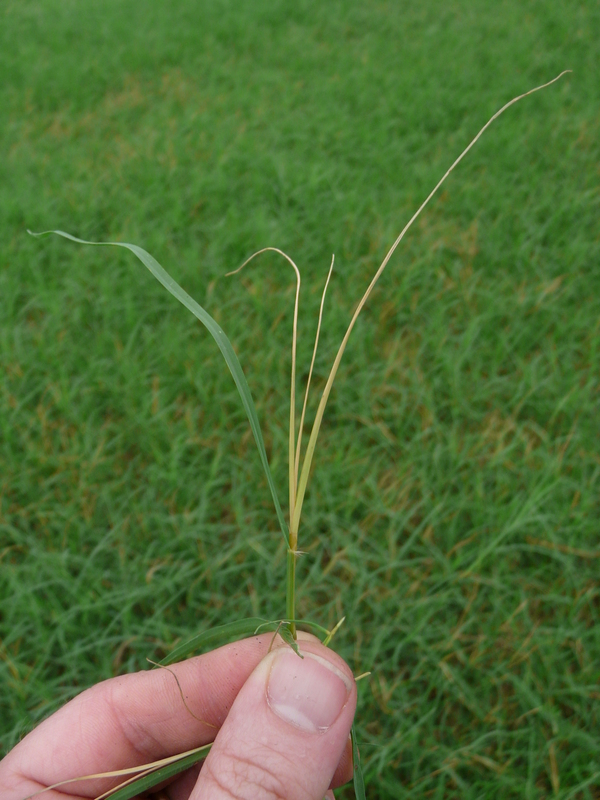 We have a new Extension bulletin on BSM found at Bermudagrass Stem Maggot Research Update. Reports of fall armyworm are also starting to come in. Producers need to scout and spray if the threshold is reached. 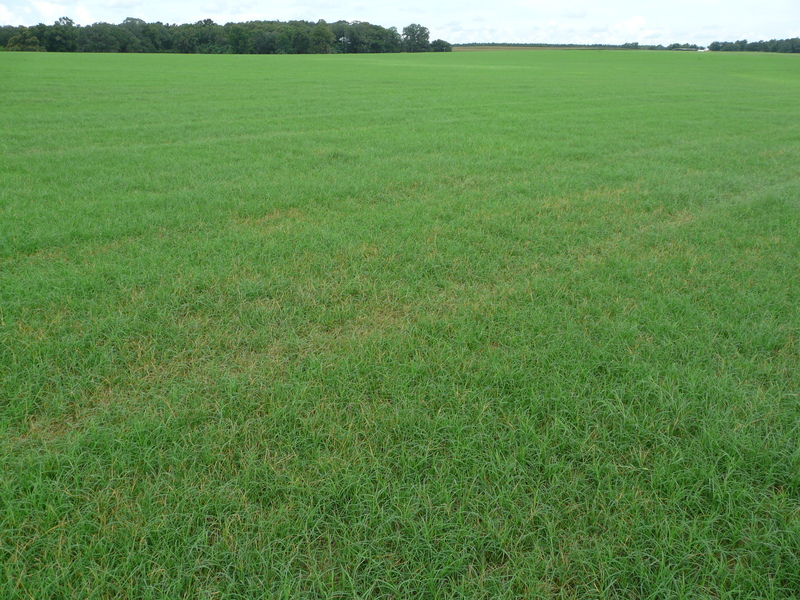 The newest bulletin is Caterpillar Pests in Pastures and Hayfields. Where BSM activity is high and FAW pressure is imminent, consider using Besiege (Lambda-cyhalothrin for the BSM and active FAW; Chlorantraniliprole for residual control of FAW). 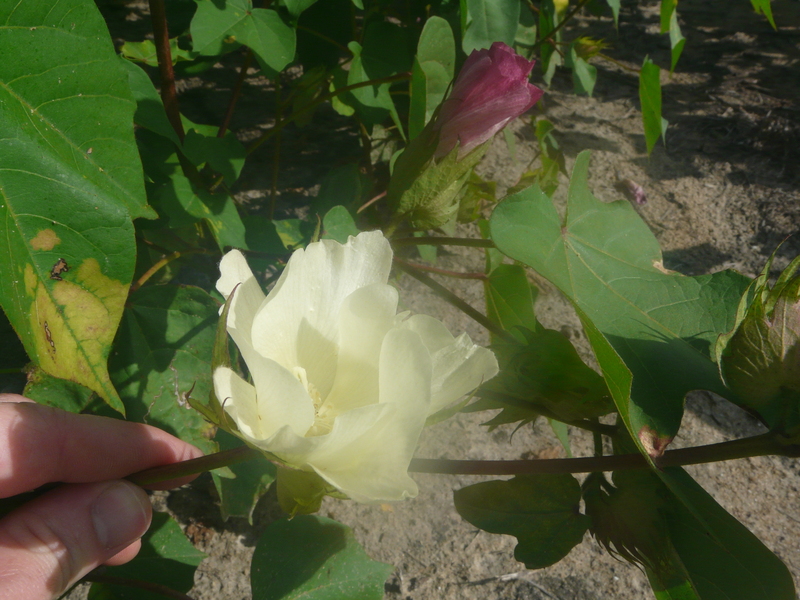 Some of our earliest planted cotton is now blooming. I thought it would be good to go through an insect update. 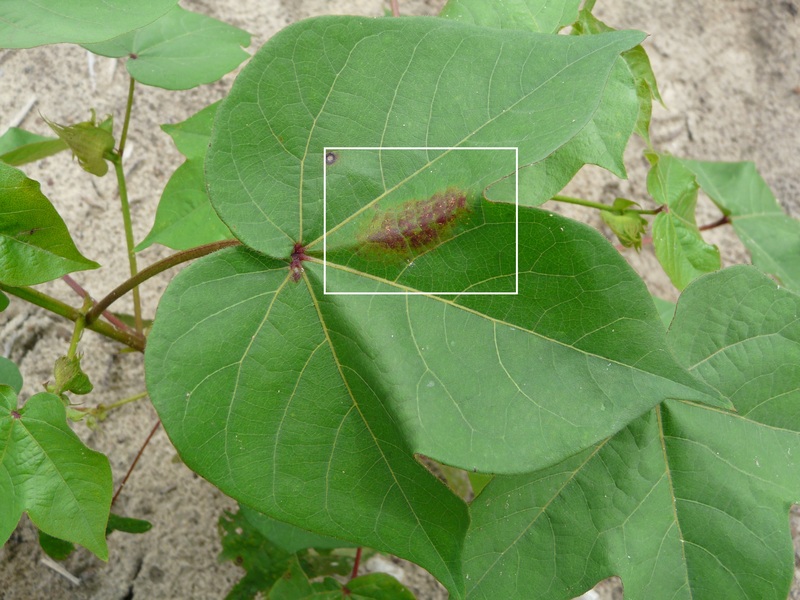 As reported last week, we found the aphid fungus in Thomas County. 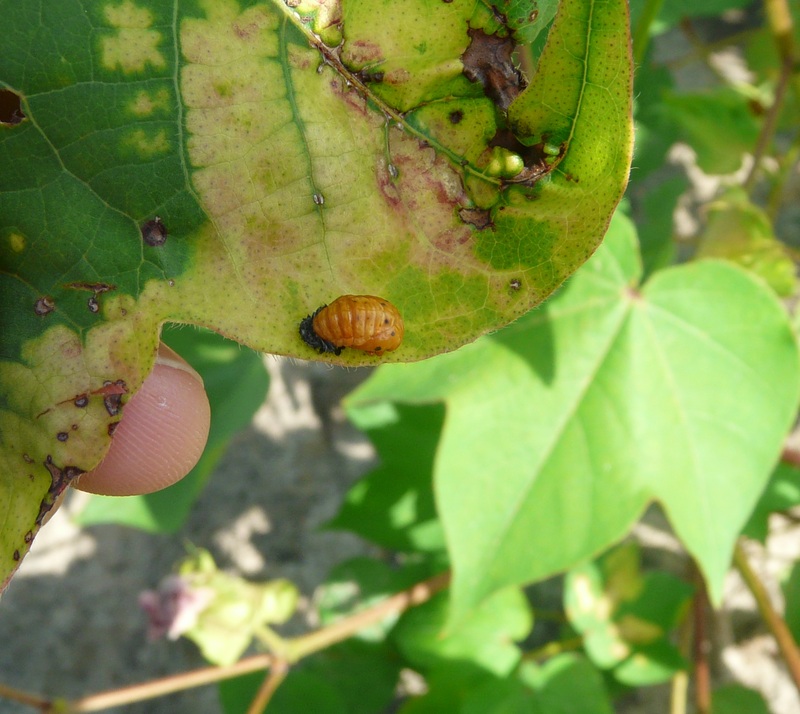 UGA Extension Entomologist Dr. Phillip Roberts located the fungus in Tift County last week. Once it’s found in a field, it takes about a week to ‘crash’ the aphids. There are still reports of aphids this week, and I’ve had a question or two. Remember, UGA has not found any yield difference in treating aphids. We’ve had more aphid populations this year, but I would hesitate on treating, especially when they are in ‘hot spots.’ We need to watch beneficials. In one field this week, I saw many, many lady beetles. On one plant, I saw almost all of its life stages, confirming how many beneficials are in our fields now. The lady beetles can’t eat all these aphids, but the aphids are bringing them to the field. I’ve seen some parasitic wasps too. I haven’t talked about plant bugs this year. In fields I go in, retention has been good. 80% retention is our goal. I have seen a plant bug here and there. Dr. Roberts says that in the state, they have been spotty, and only a small acreage has been treated to date. 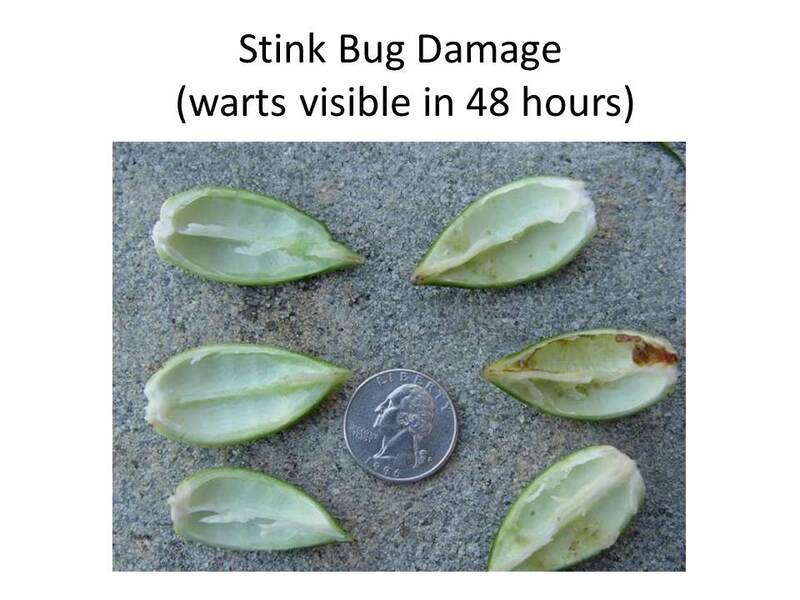 It is now time to scout for stink bugs in blooming fields. Scouts need to crack bolls and look for warts and calloused walls. 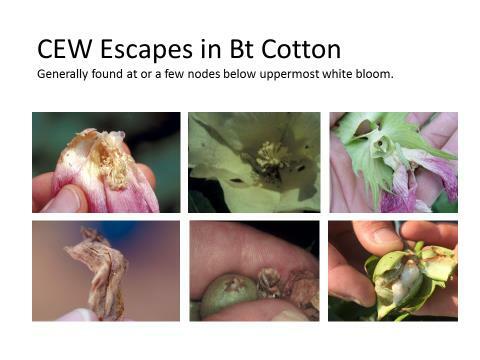 Treatment decision is based on % of bolls damaged. Dr. Roberts says whiteflies are a month early. This is usually an indication of a rough year. We need to look for adults. 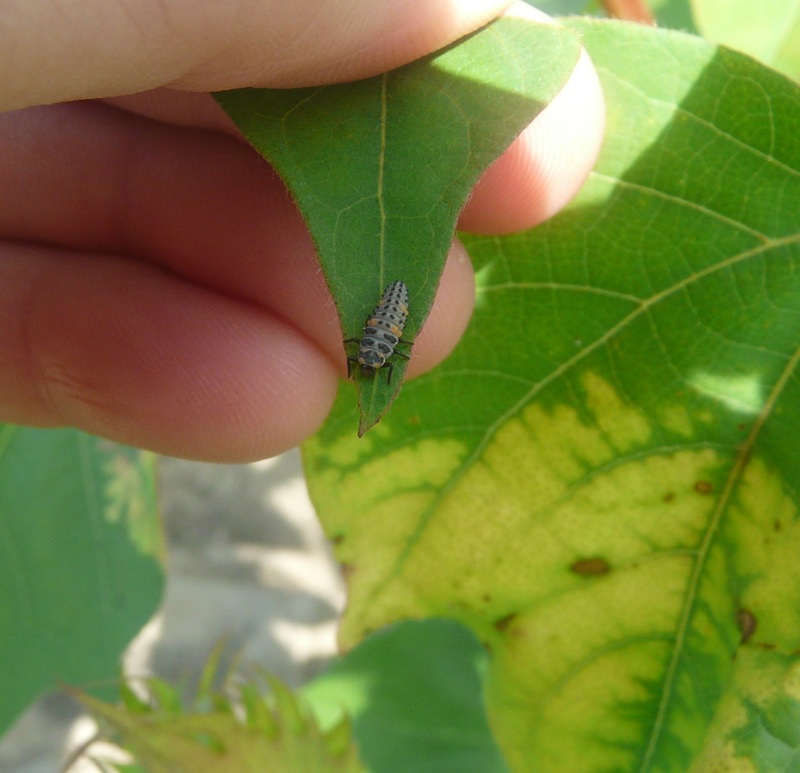 The precense of adult whiteflies influence deicisions of other pests. Treatment for whiteflies must be timely as well. 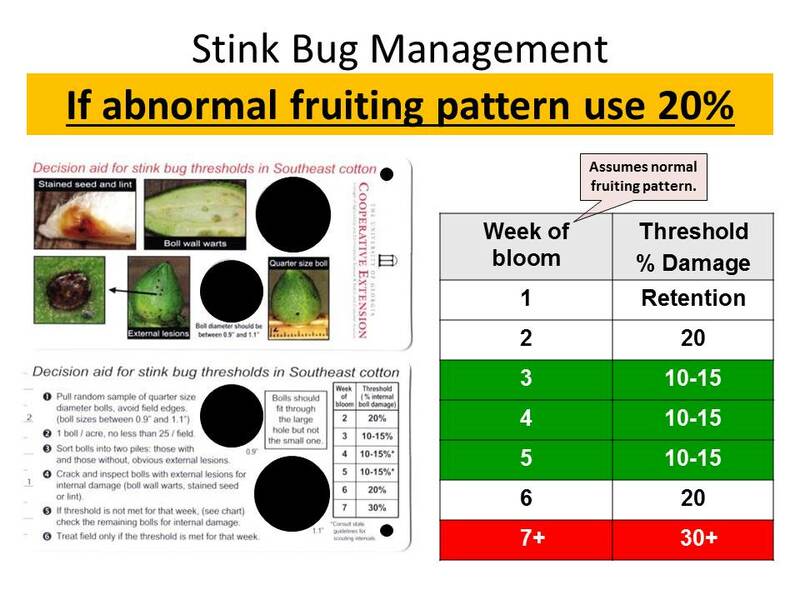 For more on thresholds and insecticides, visit this previous post on Silverleaf Whitefly Management.